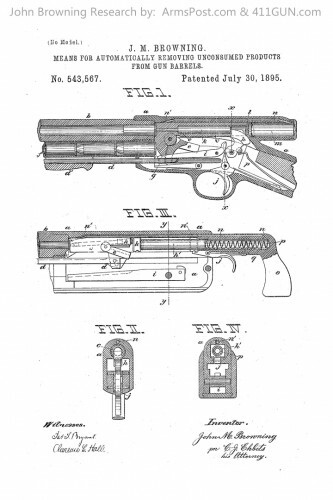 John Moses Browning was granted a very unique patent (US Patent 543567) on July 30th, 1895. It’s design pertained to a “Means for Automatically Removing Unconsumed Products From Gun Barrels”. He had applied for this patent on April 16th, 1895.